The PE teacher at my girls' school had a baby yesterday, so I'll be her sub for the next six weeks. I've known this was coming for the past month or so, but the PE teacher wanted to teach until she went into labor, so I didn't know exactly when I would begin. The question was answered when her water broke during her last class yesterday. So today was my first day! Which means I haven't run yet today. But it's on the schedule for tonight, and it's a priority after I took yesterday off because I was so tired. ...and the night was pretty much perfect. I'm off to get in my run! Happy Friday Eve! What was your favorite thing about PE in elementary school? Do you like cottage cheese on your salads? It is one of my favorite toppings! I love this advice. I think it applies to long runs just as much as races. Friday I ran 20 miles. It was my longest run since April. Because this marathon training cycle has been so short, I debated how long to make my longest run. After last week, I decided I needed at least one 20 miler under my belt. I like to have a 20 mile and one 22+ mile run before my marathons, but that wasn't an option this time. 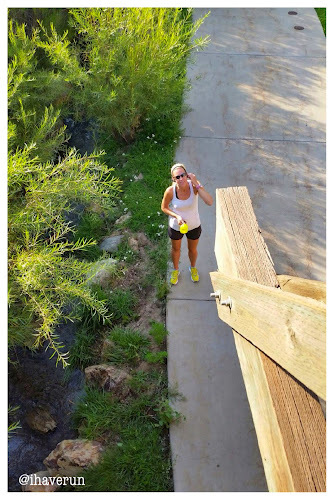 And I don't typically jump from 12 to 16 to 20 miles for my long runs over a period of three weeks, but this time everything had to be different. So I spent Thursday prepping for my long run. 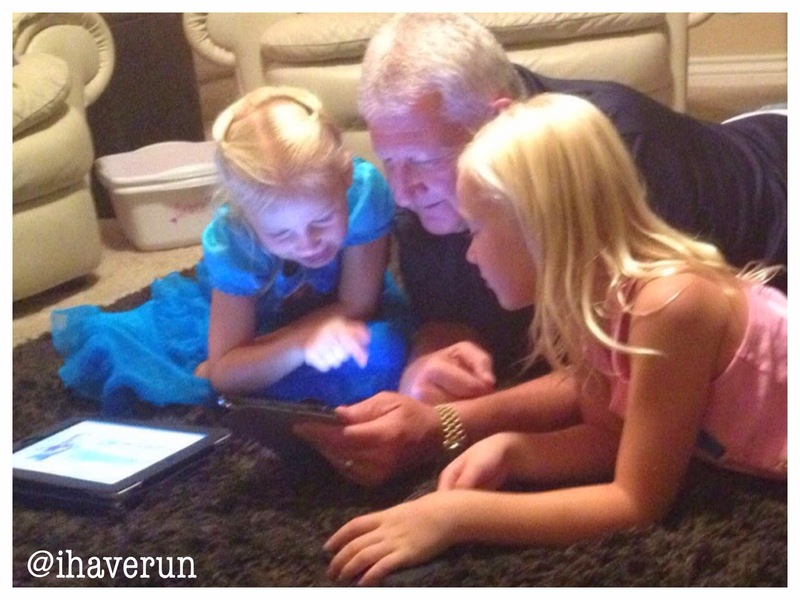 I needed to do it Friday while my girls were in school because the hubs had to work Saturday. Thursday I tried to take it a little easier, ate my usual pre-long run meals (oatmeal for breakfast, sandwich for lunch, pasta for dinner), focused on hydrating, and tried (but failed) to get to bed early. 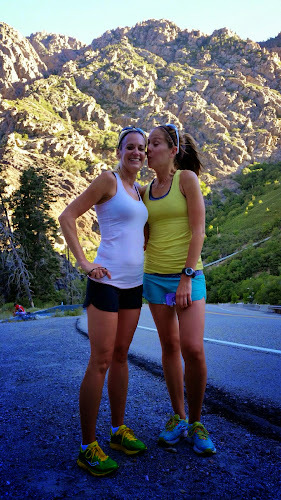 After I dropped my girls off at school Friday morning, I met Janae to run my first five and her last five of an 18 miler. Those miles flew by and were by far the best of the 20. After we split up and Janae headed home, I ran back to my car and refilled my water bottle. Then I did another out and back to finish the last nine miles. The final four were tough. I stopped at a 7-Eleven and filled my bottle with Powerade because I was soaking in sweat and could feel the salt coating my face. I drank the entire bottle during that last four miles. When I finished, it was in the low 80s with hardly a cloud in the sky. Even though I spent the last four miles seriously trying to decide if I should drop down to the half for my race next month, I drove home thinking about how I love the way I feel after a long run. 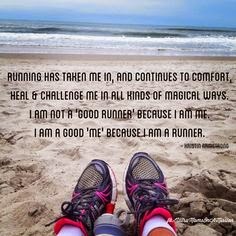 And I decided I would love to run an 18 or 20 miler every month. There's a different sense of accomplishment after running 20 miles. There's a combination of satisfaction and joy I feel after a long run. 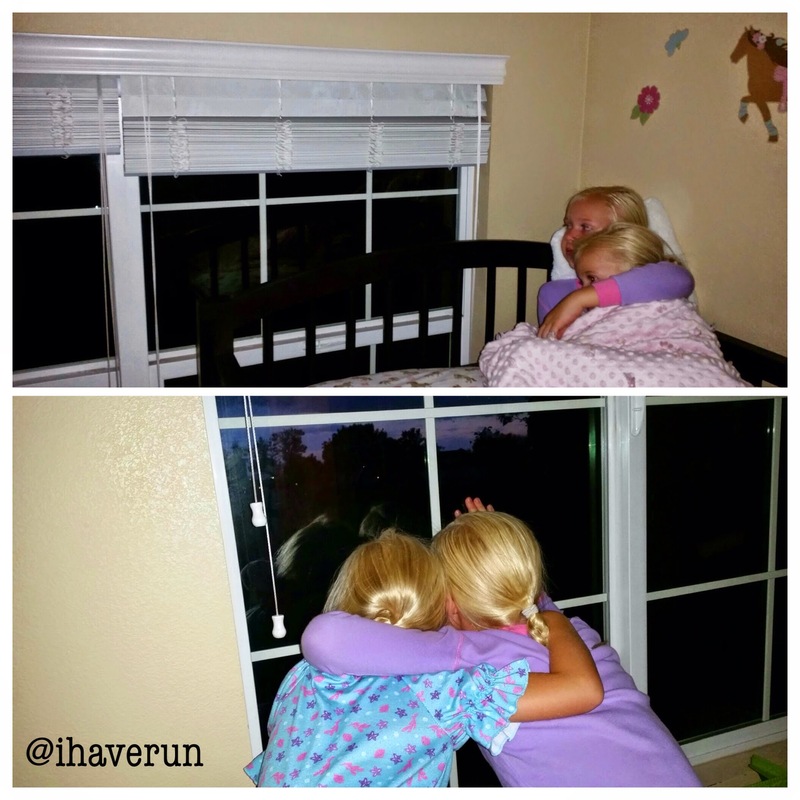 There is strength in the exhaustion of a long run. There's also a little less guilt when I chow down on a bucket of kettle corn at the movies the next night. What do you eat the day before a long run? What is your favorite movie treat? I ran my longest run since the Boston Marathon (April 21, aka the last time I ran before I finally stopped running on my stress fracture) on Saturday. 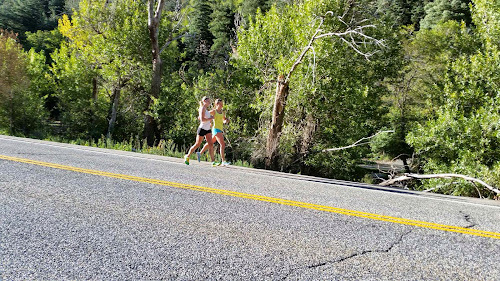 I ran 16 miles of the Big Cottonwood marathon course with Janae. If you know me, you know I'm a very solitary runner. But there are some exceptions. And Janae is most definitely one of them. 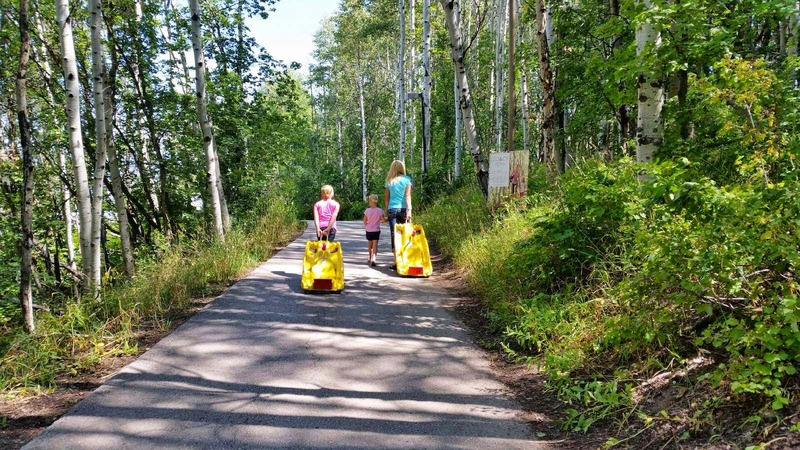 My little support crew kept us hydrated with several water stops along the way, which were also great photo ops. And they had chocolate milk for us when we finished. This course is one of my favorite places to run. Saturday it did not disappoint. I was really glad we ran the new section of the course. The course has changed quite a bit from last year and will almost feel like a different race because of the changes. Saturday really helped prepare me mentally for an out and back stretch that is new this year. 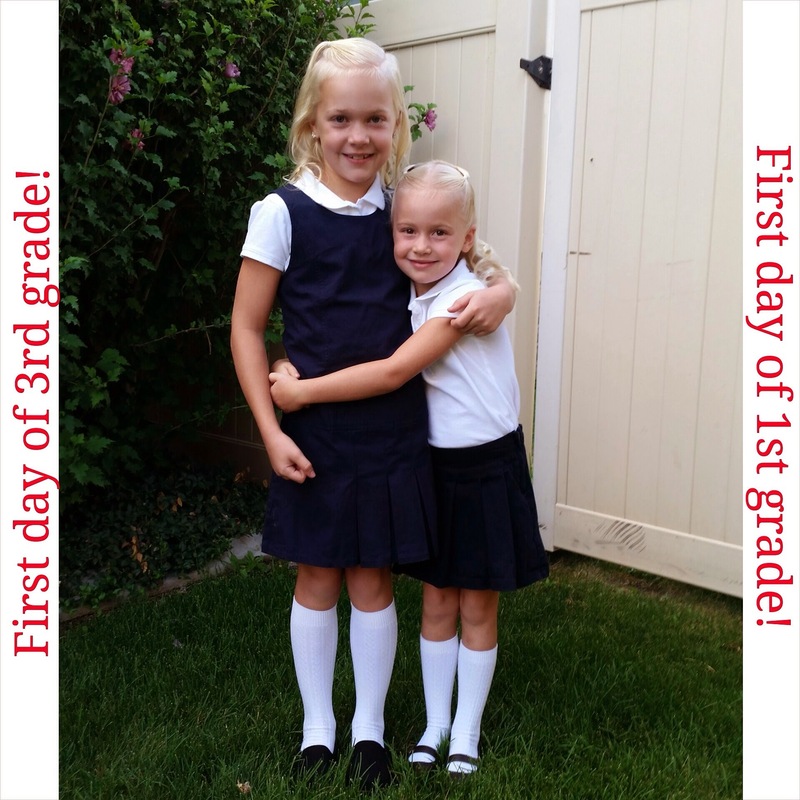 Today is the first day of school for my girls! I miss them already. I'm not sure how summer is already over. It went by crazy fast!! They were both pretty nervous. Princess Grace couldn't fall asleep until almost 9:30 last night because she kept thinking of things that were making her more and more nervous. But she has an amazing teacher this year, so I'm confident it will be a great year for her, which she needs after a challenging 2nd grade year! Ellie Bean was full of silly energy all morning until the ride to school, during which she didn't say one word. She has her cousin and several friends in her class and a fun teacher, so once she gets over the first day of school jitters and adjusts to being there all day, I'm sure she'll do great! I ate a single serving size (not the party size like in the picture, although I don't think it would be a problem tackling a bag that size) in minutes. Scott only got maybe two chips before they were gone. These are next on my taste test to-do list!! I loved the Marshmallow Krispy Oreos they had last year but can't find them anywhere anymore. Maybe these will be a new favorite. I'll let you know once I hunt some down! What is your favorite flavor of Oreo? 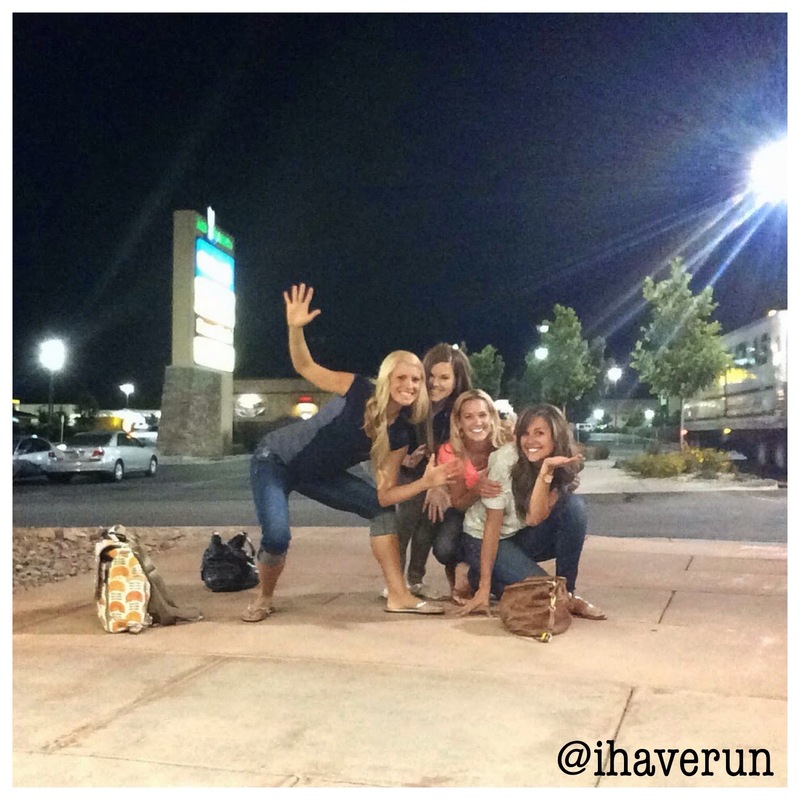 Are you a solitary runner or do you like to run with friends? Had girls night out with some of my favorites last night. 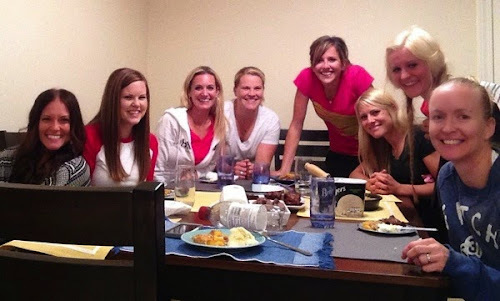 Trust me, you wish you were a fly on the wall during our GNO conversations! Yoplait Greek is the only Greek yogurt I've found that I actually like. And this flavor is sooo good. It tastes like dessert! This makes me smile every time I get in the fridge. Princess Grace made an agenda for her sleepover the other night. 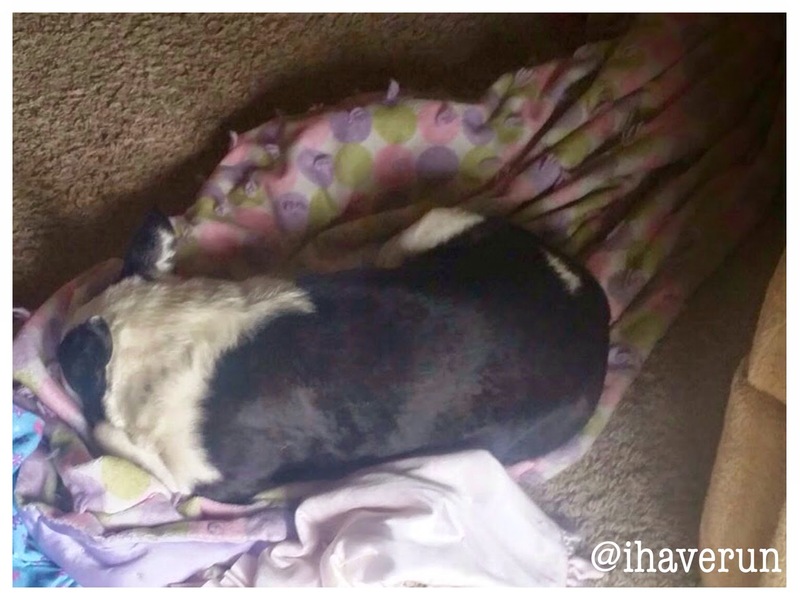 But my favorite part is her drawing of the sleeping bag! And I did this workout yesterday. After three rounds, I was dripping sweat! Do you ever do HIIT or circuit training workouts? I started the day with a short four mile run this morning before the sun was even up. My girls had their cousins here for a sleepover, so I had to get out there before the hubs left for work and the girls all started waking up. When I got home, they were all still asleep, so I did some strength training, including this core workout that looks innocent enough but had me sweating my way through all three rounds. I found the core workout above on Pinterest. I have quite a few workouts pinned on my Fitness Board, so I decided to start giving them a try. 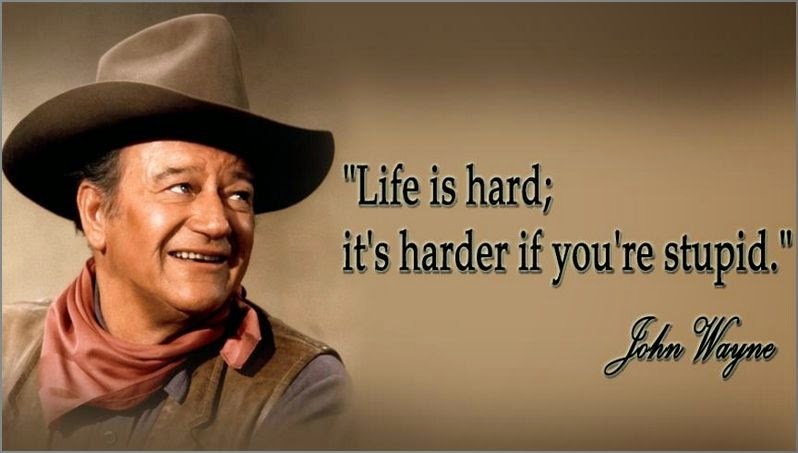 How can you not love John Wayne?!? Especially when he shared such profound, honest wisdom?!? And this. It's like she is inside my head. If you haven't read her book Mile Markers, you should!! Are you on Pinterest? What is your Pinterest name so I can follow you? Last week was a big week in running for me. It marked my first 30+ mileage (32 miles!!) week and my first double digit run (12.5 miles!!) 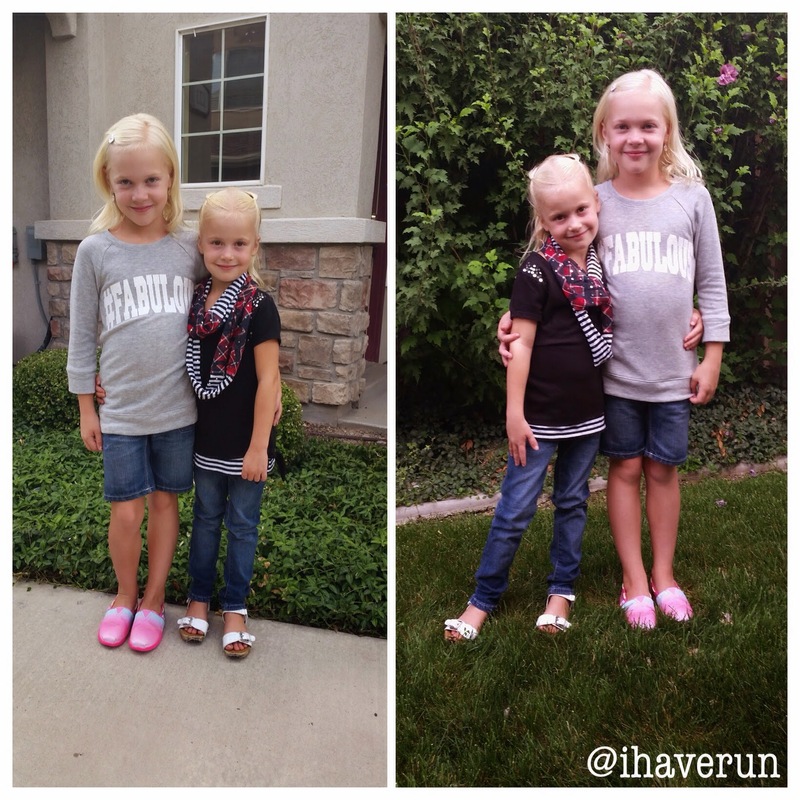 since April/my return to running after my stress fracture. 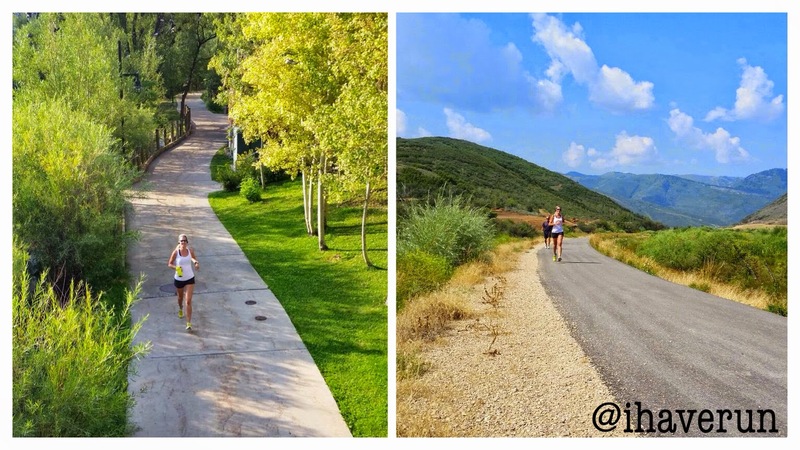 We spent the weekend in Park city so I got to do my long run on some new trails and in cooler temps. It was a perfect morning, and my team was there exactly when I needed them along the way. This was the moment I stopped to tell the team captain/official I Have Run photographer/the hubs something and forgot to stop my watch. Although the picture is proof that I didn't forget to stop my music, since that is what I am doing. It must have been a good song since that seemed more important at the time. Post run called for a recovery/reward swim for the girls (being so supportive is a tough job). 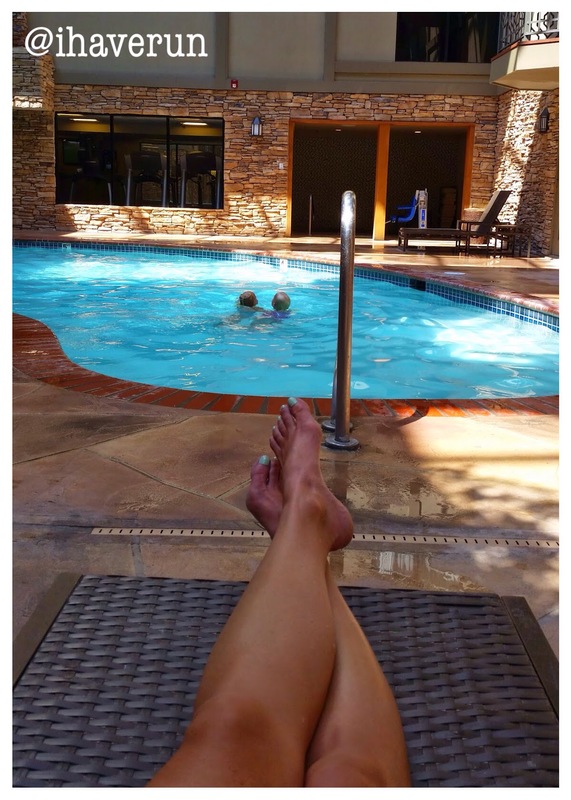 I pampered my legs with some time in the hot tub and spent the rest of the time trying to stay awake while the girls swam. 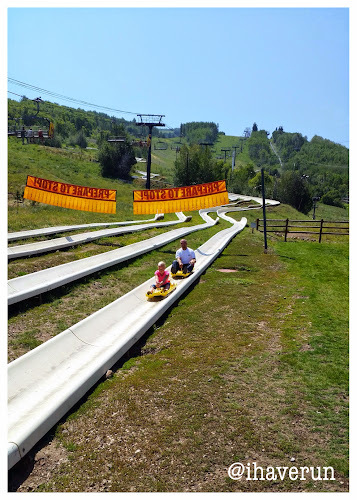 We also did the Alpine Slide during our Park City trip. We haven't done it since the girls were tiny, so neither of them really remembered it. Grace was a little nervous on the ski lift ride up to the top because she is tall enough that she has to go as a single rider now. She did great though and is getting more and more brave about things like this, which is huge because she has always been an extra cautious child who has a lot of anxiety about new things. One of the weekend highlights for me: my first bag of candy corn of the season. Scott and the girls went to a grocery store while I was running to get me some chocolate milk and saw this. Scott knows how much I LOVE it and bought me a bag. What he didn't know was that I had just looked for it a few days earlier while I was grocery shopping but they didn't have it yet. So it was an extra happy surprise! And the highlight of the weekend for the girls: getting their new backpacks and lunch boxes. 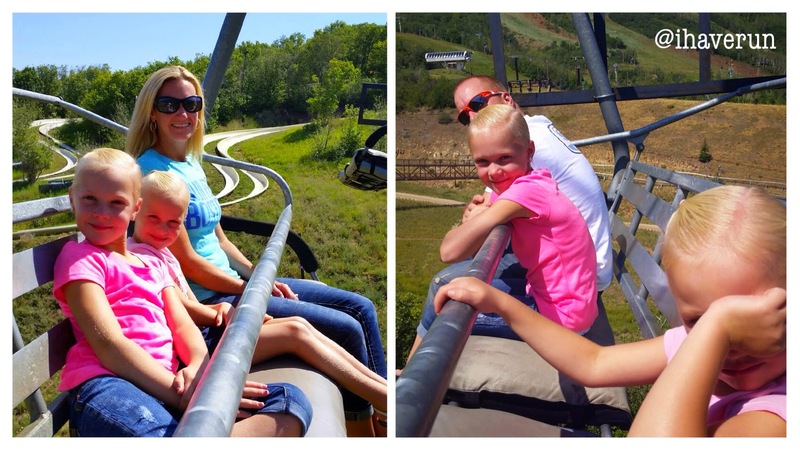 They have been anxiously awaiting our annual Park City school shopping trip so they could get these. Now that they wear uniforms to school, their backpacks have become one of their most important back-to-school items!! 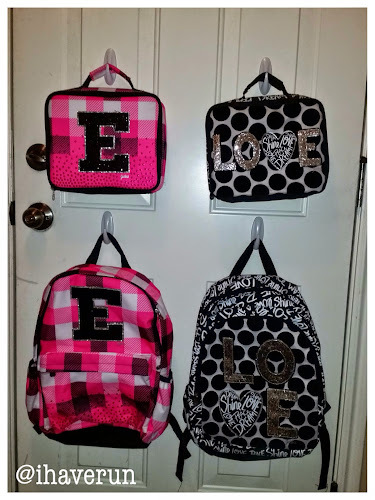 Do you have any annual back-to-school traditions? Do you like candy corn? 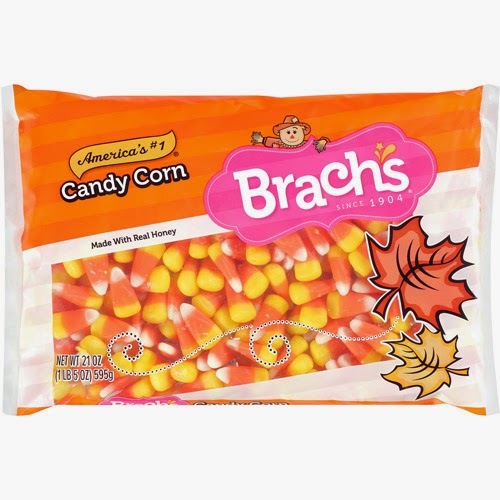 I love candy corn, but I'm not a big fan of the little candy pumpkins that come in the candy corn fall mix.